Murad Tahboub is a partner and the managing director of ASAL Technologies, with responsibility for all aspects of its day-to-day operations. 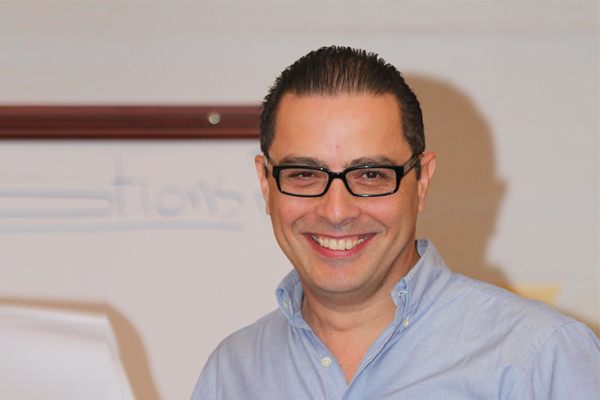 Mr. Tahboub is responsible for advancing ASAL’s vision for Software Delivery Optimization and helping deliver clients the most cost effective and manageable software and IT solutions. Prior to that, Mr. Tahboub served as a marketing specialist with COBRA International in Athens, Greece. He helped establish the Palestinian Trade Promotion Organization, the first Palestinian organization to address the needs of Palestinian exporters. In 1996, Mr. Tahboub served as the General Manager of the Center for Promotion of Palestinian Products office in Rotterdam, the Netherlands. He led the development of marketing strategies for several Palestinian companies from different sectors to the EU market. Murad. Tahboub established a solid business network in the Arab, regional, and international markets. Additionally, Tahboub serves on the boards of the Palestine Information Technology Association (PITA), the Young Entrepreneurs of Palestine (YEP), and the TAHKEEM Center for Conflict Resolution, a member of the Palestine National Task Force (NTF) for Economy and Trade, the Young Presidents Organization (YPO) and the Arab Economist Association. He is also a certified expert from the World Trade Organization (WTO) / (UNCTAD) and the International Trade Center (ITC).